Officer Jim Chee knows he's in trouble when his trailer is wracked by three shotgun blasts. Who is after this officer, though, a man thought by many to be beyond reproach? Lieutenant Joe Leaphorn thinks he has the answer, and it ain't pretty. He believes the assault is linked to a series of particularly heinous murders that have been plaguing the reservation. 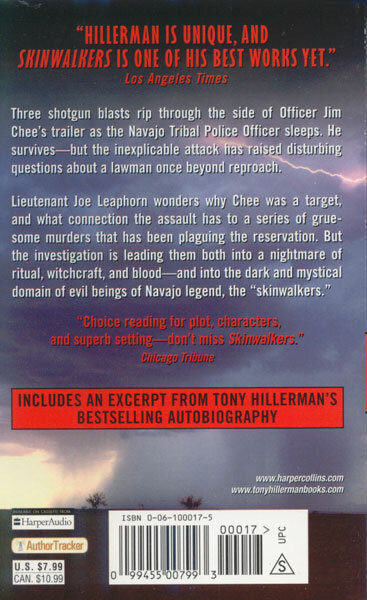 As the plot thickens, they enter the domain of the evil beings of Navajo legend known as "skinwalkers". 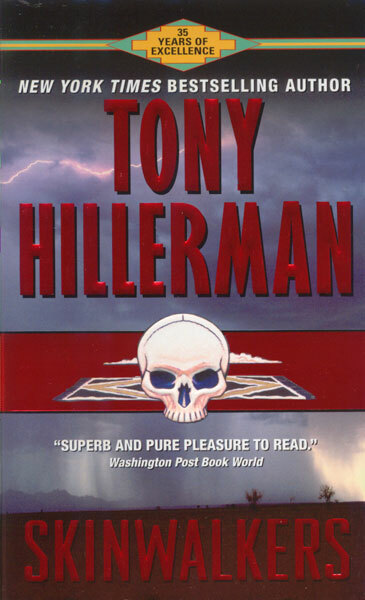 This novel also contains an excerpt from Tony Hillerman's autobiography, Seldom Disappointed.